As at April 13, 2019, the trail is mostly dry. There is still snow across the trail in the dark cuts. Several trees are across the trail but it is possible to navigate around them. Some minor rock falls have happened over the winter. We will soon be sending out a notice for our annual AGM to be held on April 11th, 2018. This is the 25th anniversary of MCTRS, and along with regular business we will have a PPT presentation acknowledging people, events and activities from 1993 to 2018! 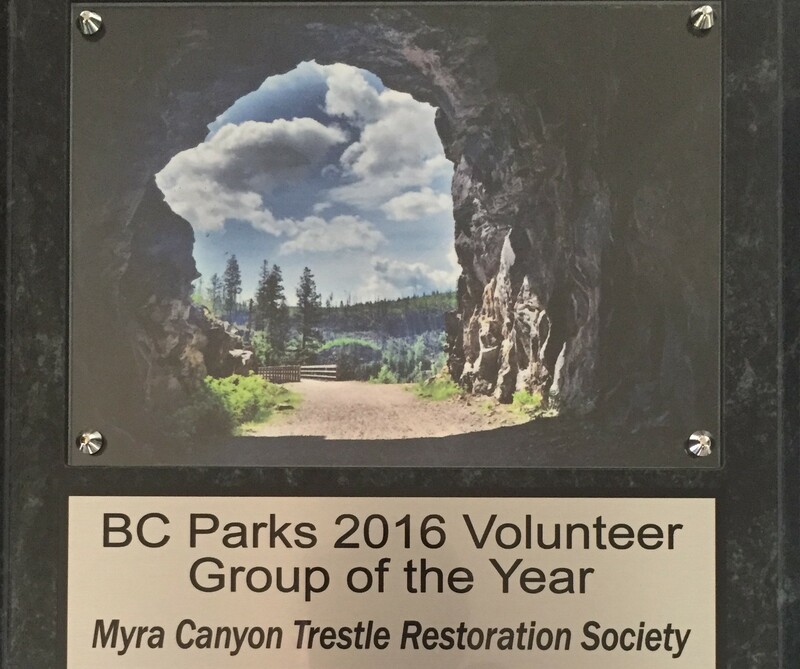 Myra Canyon Trestle Restoration Society turns 25 years old in 2018! Our new website went live today. We hope the information and resources on this website help you in planning your trip to Myra Canyon in 2018!